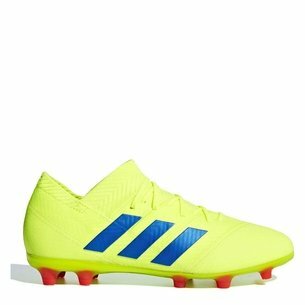 Please allow up to 9-11 working days for dispatch on all personalised boots. 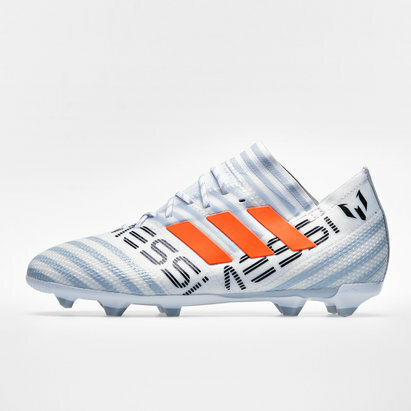 Designed for devastating agility become a supernatural force on the field and shock every opponent on the way with the adidas Nemeziz 18.1 Kids FG Football Boots in Ash Silver Ash Silver and White. 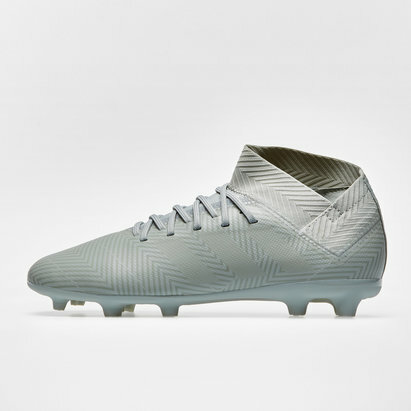 This adidas Nemeziz is part of the Spectral Mode pack which features a collection of stylish, pale boots. 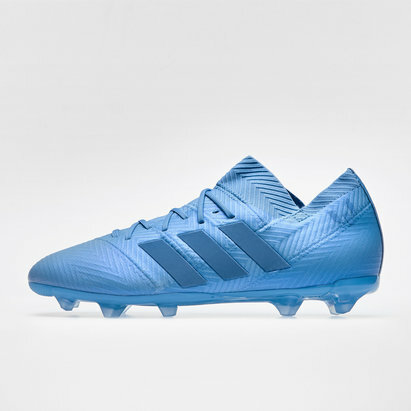 All adidas Spectral Mode boots apart from the Copa will be worn by adidas' best players on the pitch from mid-September. 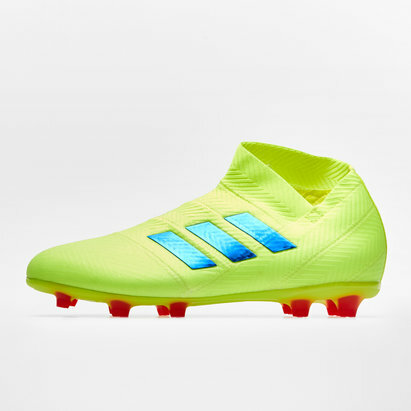 This collection of boot features pastel coloured boots to stand out from previous collections. 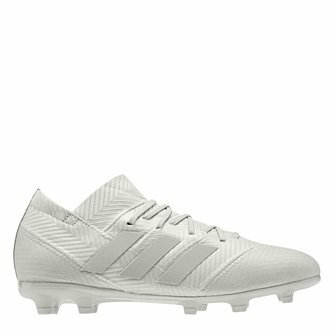 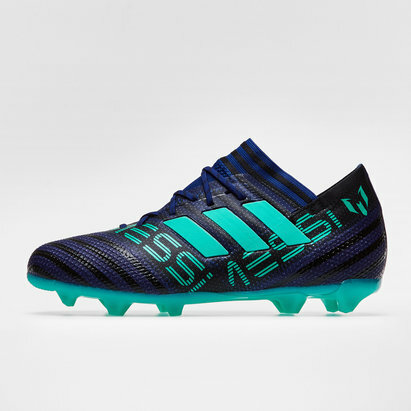 These adidas boots which have been inspired by sports tape which wraps around an athlete for support and performance, this will take the game to another level, Experience game controlling abilities like never before. 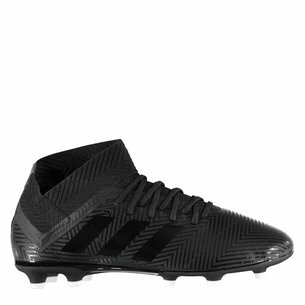 Made for the outside backs, kicking will be a priority each and every game. 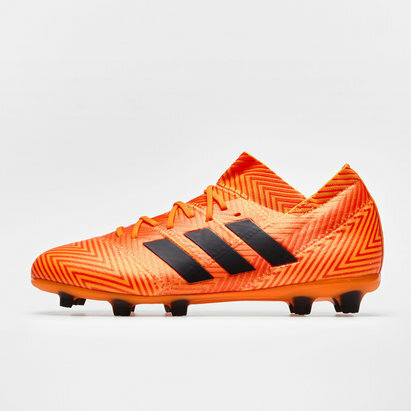 Lace up these boots and experience the control and technique your team has always needed. 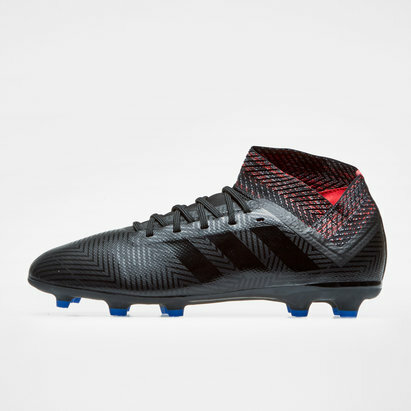 This model comes with laces if you prefer the comfort of tightening boots to the desired fit. 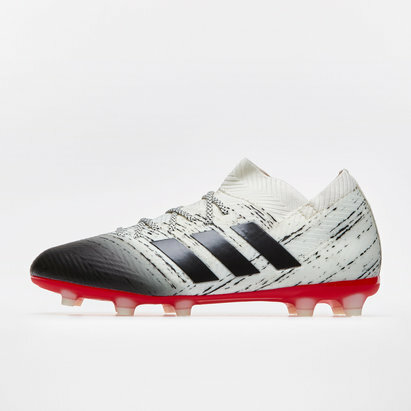 If for any reason you are not satisfied with your purchase from Barrington Sports, you may return the product(s) to us within 28 days of the purchase date for a refund or exchange.